Our experience with Microsoft Dynamics GP and business management goes deeper than just concept. Our team has been working with Microsoft Dynamics GP from its inception when it was originally called Great Plains. We have watched, learned and been part of Great Plains’ growth and transformation into the powerful business system it is today—Microsoft Dynamics GP! How can Andosi help with Dynamics GP? In addition to our deep understanding of the technology behind Microsoft Dynamics GP, our professional business and management experience in both industry and public accounting means we approach businesses like yours with a very unique and rare perspective. We understand the challenges you face operating your business. Our executive team’s experience ranges from the VP of Global Operations of a worldwide manufacturer and distributor to the CPA and Auditor for a global accounting firm. We have ‘sat on the other side of the table.’ We can relate to your needs and know exactly why finding a solutions expert is so important—your success depends on it. Whether it is the initial setup and configuration, or if you’d like to re-engineer your existing instance of Dynamics GP, we can help! Imagine finally having the interconnected business system that you’ve always dreamed of. 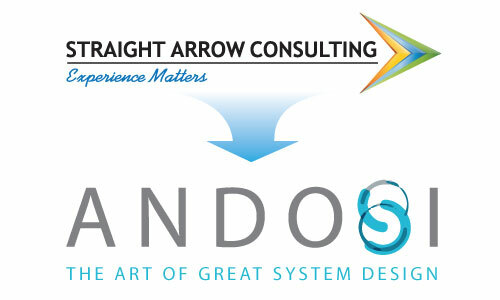 Andosi specializes in integrating Dynamics GP with CRM and can even integrate with any of your other proprietary systems. From database level customization to SQL Server Reporting Services (SSRS) customizing Dynamics is what we do!